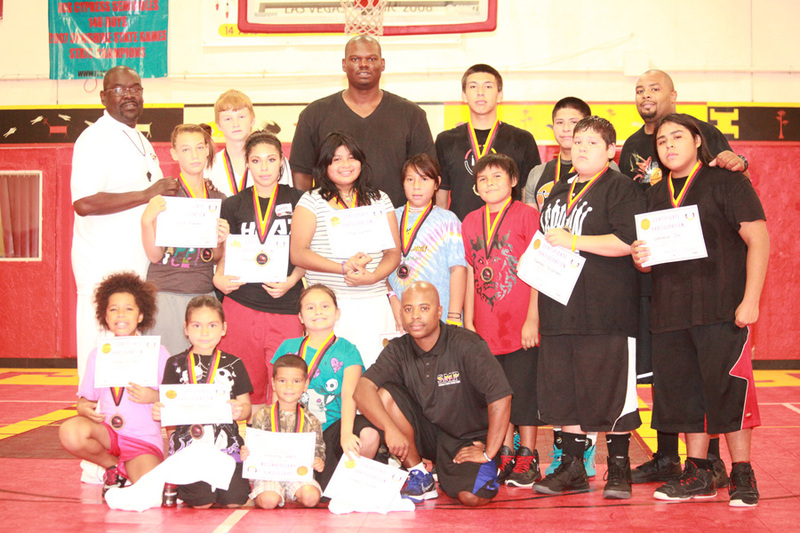 Scores of Tribal youth from the Big Cypress, Brighton and Hollywood Reservations made their way to their gymnasiums last month to take part in Jamal Mashburn’s Seminole Basketball Skills Clinic. Co-sponsored by Jamal Mashburn and Seminole Sports Management – a branch of Seminole Media Productions – Mashburn’s mentor, Reginald Kitchen, along with clinic trainers Sudan Ellington and Hanif Hill, took the Tribal youngsters through a host of dribbling, shooting and conditioning drills geared toward honing their basketball fundamentals and skills. In addition, Kitchen, Ellington and Hill rounded the group of youth after a lunch break to talk about a slew of concepts primarily centering on the importance of making positive decisions in all facets of their lives. 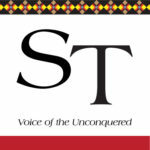 Hill said he learned a lot from the Tribal youth and noted the excitement that transpired throughout the course of the day-long basketball clinic. The Jamal Mashburn Seminole Basketball Skills Clinic took place in Big Cypress on Oct. 8; took place in Brighton on Oct. 15; and took place in Hollywood on Oct. 22, giving youth from many reservations the chance to learn from an NBA All-Star. Dozens turned out to participate on each day. Brighton Tribal citizen Philip Jones, 18, was among the enthusiastic Seminole basketball campers who actively got involved with the initiative. “It was great to come out here to learn some more fundamentals,” said Jones, who is slated to start as a junior point guard for the 2011-2012 Okeechobee Brahmans varsity basketball team. Jonathan Robbins, a prospective senior basketball player for the Ahfachkee Warriors, said he felt great to have a person of Mashburn’s caliber to help him and his fellow Tribal youngsters improve on their basketball craft. Robbins, a high school senior at the Ahfachkee School, talked briefly about the opportunity to play for the Warriors Tribal basketball team. 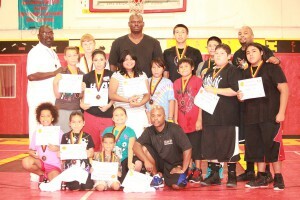 Mashburn, who briefly spoke to the Tribal youth participants before handing out medals and certificates to them at the clinic’s conclusion, offered his assessment on how the camp transpired.